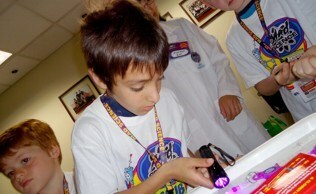 Mad Science provides the instructors and equipment for 6 different stations that your students can explore. 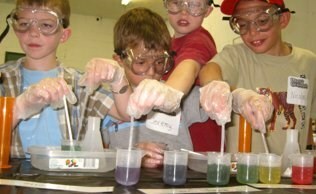 Groups of 100 will be rotated through so that each student has one hour of hands-on science fun. There will be an overview at the beginning of each group’s session to introduce the activities and science concepts that the students will be exploring. Science Station Topics: The following fantastic stations will be provided at your Exploration Day. The same activities will be done with all grade levels; however, the scientific explanations will change, depending on the ages of the children.